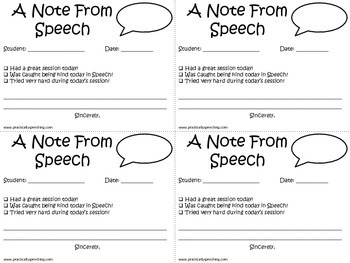 A Note From Speech - FREEBIE alert! I instagrammed (is this a word? I use it all the time lol)a photo last week of my "a note from speech" printable. It's a great way to quickly make a connection between the speech room and home! Check off and write a little note, and you're good to go! It fits perfectly in any speech notebook or folder!